Finland is a highly forested country, with at least two thirds of the land covered with productive forests. Out of these 20 million hectares, two thirds are owned by over half a million small-scale non-industrial private forest owners. A great share of Finland's biodiversity and also endangered species dwell in these commercially managed forests that concentrate in the southern parts of the country. As only less than 2% of the forest land is preserved in Southern Finland and centrally designed protection has generated severe conflicts during the 1990s, the current approach to conservation is primarily voluntary. The payments for ecosystem services (PES) under the Southern Finland Forest Biodiversity Programme (METSO) currently form the core of the policy instrument mix in Finnish forest biodiversity conservation. The Finnish case study outlines the status of biodiversity and the policy instrument mix for biodiversity conservation at the national level in a coarse grain fashion. Further in the project, voluntary contracting and the impacts of the instrument mix will be analyzed in South-Western Finland. 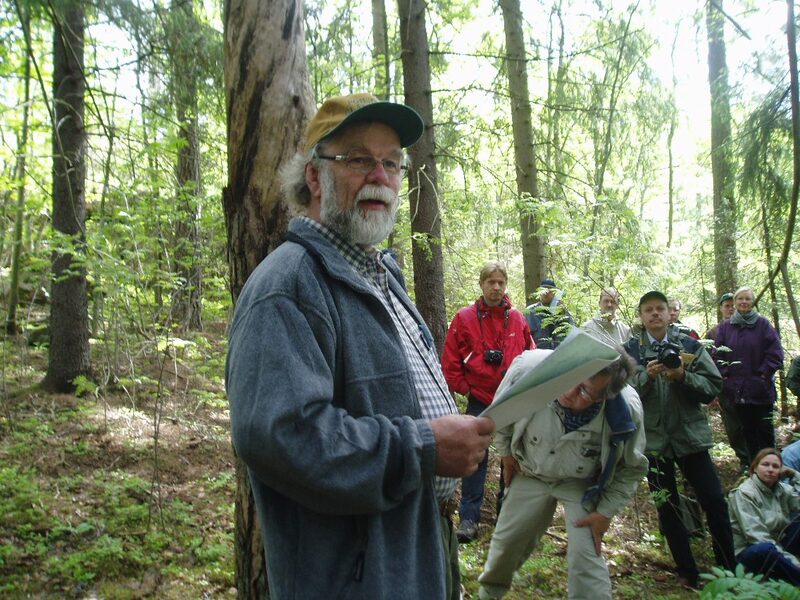 Currently, the formal Finnish forest biodiversity conservation instruments include regulatory instruments and economic instruments as well as information and extension services. The traditional national parks, strict nature reserves and nature conservation programme areas (including the European Union Natura 2000) are supplemented with Forest Act habitats and Forested Nature Conservation Act habitats. Private protected areas are currently established dominantly through positive economic incentives under the METSO Programme attracting voluntary offers from forest owners, in a PES fashion. This protected area contracting is the responsibility of the environmental administration. Under the METSO Programme, PES contracts are also made for a fixed term by the forestry administration, under the Act for Financing Sustainable Forestry. The two PES-like mechanisms merge the ideas and practices of the PES contracts piloted jointly by the environmental and forestry administration in 2002-2007 and the pre-existing environmental subsidy that compensates for timber income loss. identified by the focus group include strengthening nature conservation by developing a biodiversity law, allocating more nature conservation power and budgetary resources to environmental administration, or backing up the environmental administration with more forest nature management competencies to allow forest administration to focus mostly on forestry. Also developing economic instruments by increasing incentives significantly and paying for existing or increased nature values or developing land-use planning would be more radical developments. instrument, will be further studied. The sequence of the policy instruments has clearly played an important role in the evolution of the Finnish METSO PES. Without the criticism against the conservation programmes and the implementation of the Natura 2000 network, the METSO incentives would not have been developed. Similarly, the success of the PES has largely relied on the new opportunities and new practices brought by the voluntary scheme implemented in collaboration between the environmental and forestry administrations, although the piloted joint administration has discontinued. As our analysis of the institutional evolution demonstrates, the current application of the METSO-PES has reverted back to many institutional features that existed prior to the METSO pilot. Further analysis will rigorously test the prevalence of the different institutional factors that influence contract uptake currently and also examine how different institutional arrangements characterize the potential outcomes of future policy-mixes. South-Western Finland is densely populated and has a diverse economy for the generally very rural Finland. The area has 1 million hectares forest land, out of which private people own 80%. These 37 000 non-industrial private forest holdings are generally small in size, averaging at 21 hectares. Compared to the rest of the country, forest owners in the area have acquired ownership actively and only a third has inherited the land. 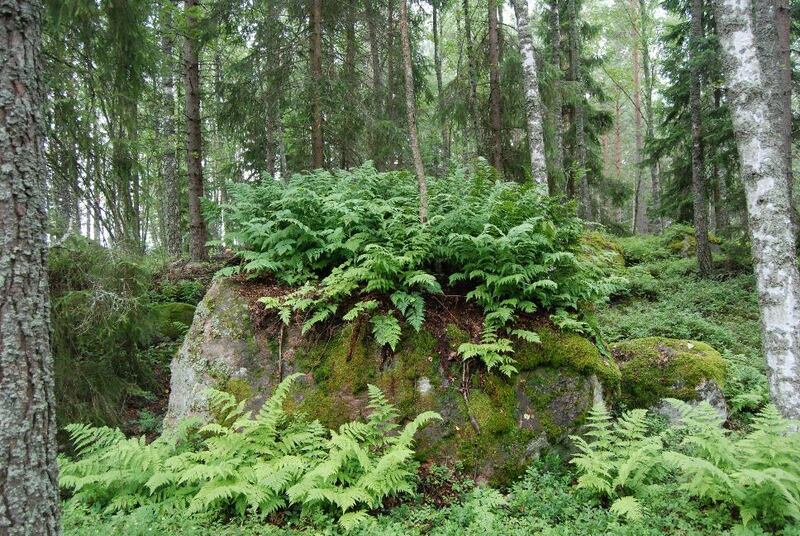 Typical of southern Finland, the forests in the area are fertile, productive and intensively managed. The same forests are used for recreation, berry and mushroom picking and hunting. The area has low conservation coverage, with 2,5 percent of the forest area strictly protected and 0,4 percent of private forests designated as Forest Act habitats. The South-Western Finland Forestry Centre region piloted the METSO Programme during 2003-2007. Actually, the so-called ‘nature values trading’ PES instrument idea originates in the area. As the forest owners in the area are have been exposed to the voluntary policy instruments for a ten-year period already and the administration has been engaged in developing these instruments, South-Western Finland makes an ideal case study area. The ecological outcome of voluntary conservation payments and of instrument mixes should be evaluated against the conservation challenges that include low coverage and connectivity of protected areas. The case study will layer the METSO PES forest holdings on a general Zonation output to evaluate the conservation effectiveness in the fine grain analysis. Additionally, to allow scenario analysis, the structure and the quality of the forests that were included in the METSO PES holdings will be examined with spatial analysis of forest inventory data. The structure and the quality of the forests will be assessed with forest site types, dominant tree species, development classes, age classes, volume of the growing stock and increment of growing stock. These spatial analyses will be combined with spatially referenced views of forest owners regarding the ecosystem services that their forests provide from the survey responses. For understanding the costs and benefits of conservation instruments, it is essential to understand the difference that the PES contract or instrument mix makes as compared to no conservation effort. Generally, opportunity costs are an important starting point when analysing the conservation of previously commercially managed forests. In addition to the opportunity costs, also the forest-owner views on what rights they give up generate an important cost factor. As regards the benefits, it is essential to acknowledge the ecosystem services that the forest owners identify their contracted sites to provide, as they are well aware of the functions of their forests and those who have already made a contract, have first-hand experience with both benefits and costs. The Finnish local level case study will evaluate the factors that have contributed to contracting and the payment request of contracted and non-contracted forest owners, as well as their perceptions of multiple benefits of conservation. The real contract fees will be used to validate the payment request. The Finnish fine grain analysis will advance the understanding of contractual, institutional and social factors contributing to the payment request. Similarly, the fine grain analysis will allow measuring the value that the forest-owners place on the ecosystem services they provide by contracting. As the contracts are voluntary, and they are a genuine opportunity for any forest-owner who has an eligible site on their land, the payment request reflects the ecosystem service value of the service provider in a realistic fashion. Plotting the significant impacting factors on a map, the fine-grain analysis will also explore the possibilities of GIS analysis of timber-sale value (opportunity cost) on willingness to contract and payment request levels. Similarly, transaction costs can be evaluated both with the results of the survey (time invested in contracting and negotiation time) and GIS analysis (distance to agency). Finnish forest-owners are relatively wealthy and often rather independent from regular forestry income, and the forest sector is rather powerful in steering timber production and also influencing forest biodiversity policy. With the conflictuous history, the administration seeks to treat forest-owners as equally and equitably as possible. The private benefits of conservation and PES experienced by forest-owners are often simplified to be expressed by income changes but they can be much broader. Benefits experienced by forest owners include perceived changes in benefit distribution, equal opportunity to contract and use multiple ecosystem services, autonomy to decide about conservation and forest use, justness of rights and responsibilities, security and predictability of the policy and contract terms, and finally, biodiversity and ecosystem benefits. The Finnish local level case study will address both distributive impacts and legitimacy directly with the forest-owner survey. The analysis will focus on perceived benefits and their contribution to contracting. The Finnish case study will contribute to the debate about fairness and equity in PES with experiences from a wealthy empirical context. With the forest-owner views on ecosystem service benefits and their relation to payment request, the survey will also allow discussing the generally held views that values placed on ecosystem services are of a public character and that their valuation should rely on contingent valuation methods. The Finnish forest-owner survey will address the forest owners' use of information, their trust and their shared interests relative to a range of relevant actors implementing and intermediating the METSO PES. Introducing PES instruments will necessarily change forest owners’ rights and responsibilities. By doing this, the PES re-determine also the rights and responsibilities of different administrative and organizational actors. In addition to these formal regulative institutions, changes occur in the normative institutions carried by professional and standardized practices as well as cultural cognitive institutions reflecting the perceived functions of forests, forest management and biodiversity conservation. Although the PES contract terms and their acceptability have been studied in Finland, and the role of the administration and intermediaries is also well known, the forest-owners' views on their own rights and responsibilities has not been analyzed together with their views of the rights and responsibilities of other actors. The Finnish fine grain analysis will close this knowledge gap. Much of the Finnish local level case study focuses on the rights and responsibilities and the impacts of their redistribution, through forest-owner perceptions. In addition to analysing the influence of institutions on the take up of a PES contract and the payment request, the survey will allow in-depth analysis of the weight placed on the rights of different actors, which can be analyzed against earlier work on legitimacy and institutions of forest biodiversity governance. The results will enlighten the institutional options and constraints of METSO PES and other instruments. This will be backed up by the focus group work for the multicriteria analysis of instrument mix scenarios. Environmental decisions and policy assessments are often complex, involve many different stakeholders and typically draw on multidisciplinary knowledge bases, incorporating natural, physical and social sciences, politics and ethics. To consider the multiple impacts and constraints of different instruments applied jointly, the Finnish case study will conduct a spatially referenced multi-criteria analysis (MCA) of instrument-mix scenarios. This will not be a full blown spatial MCA, but the method relies on combined use of geographic information systems (GIS), spatial analyses and MCA. The GIS is used to produce and handle the geo-referenced data needed for producing the alternative conservation area configurations under the different instrument mix scenarios, and as a platform to present and visualise the results of the analyses as thematic maps. The MCA will draw from the fine-grain analysis of institutional, social, ecological and economic perceptions of forest owners. The scenarios will take the existing budget as a starting point and take the current implementation of METSO PES as baseline scenario. Based on stakeholder focus group work, the alternative scenarios will be built around the following new instrument mixes 1) Voluntary permanent conservation; 2) Enforced spatially concentrated permanent conservation, 3) Voluntary permanent conservation with active nature management; 4) Voluntary temporary conservation. The ecological indicators considered for this analysis include carbon sequestration, forest age structure and its changes, the amount of fertile forest site types, connectivity and the amount of coarse woody debris. The economic indicators considered include opportunity costs (lost timber sales income), transaction costs (negotiation time) and employment opportunities. The social indicators considered include recreational opportunities, perceptions on who benefits and distribution of benefits in society, perception of legitimacy and fairness of the contracting process. The information for the indicators will be obtained from the administration, the forest owner survey, forest resource information and from the Streering Group of the Finnish case study. The Streering Group will represent the decision maker in the MCA and state preferences for the different criteria and indicators.